A Trick Ain't Always a Treat: Roosevelt History? 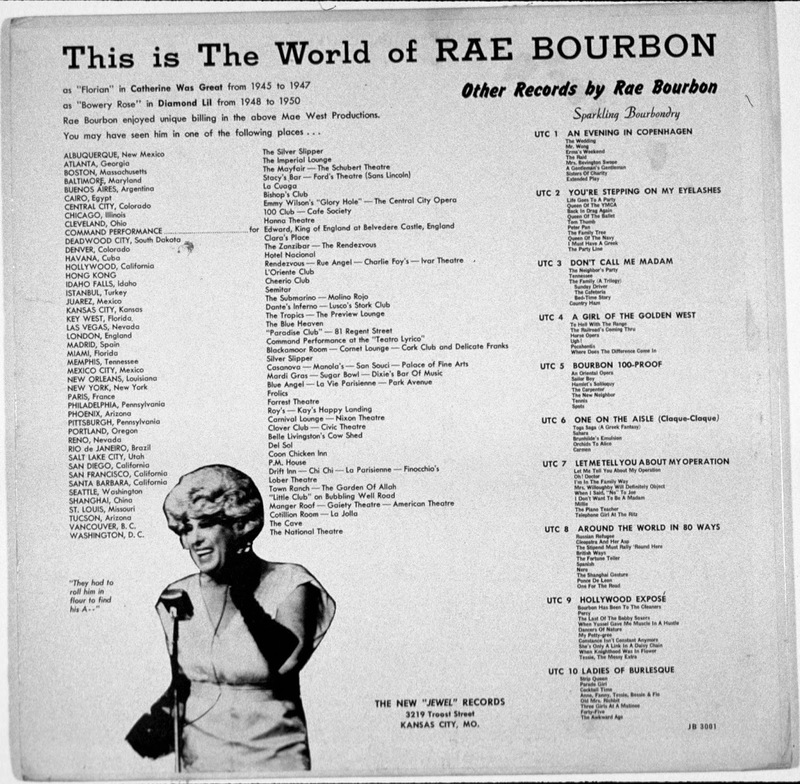 Rae Bourbon (aka "Ray Bourbon") began show business in silent movies, during the 1930s and 40s, he was known for his gay themed nightclub review and performances in cities around the globe. 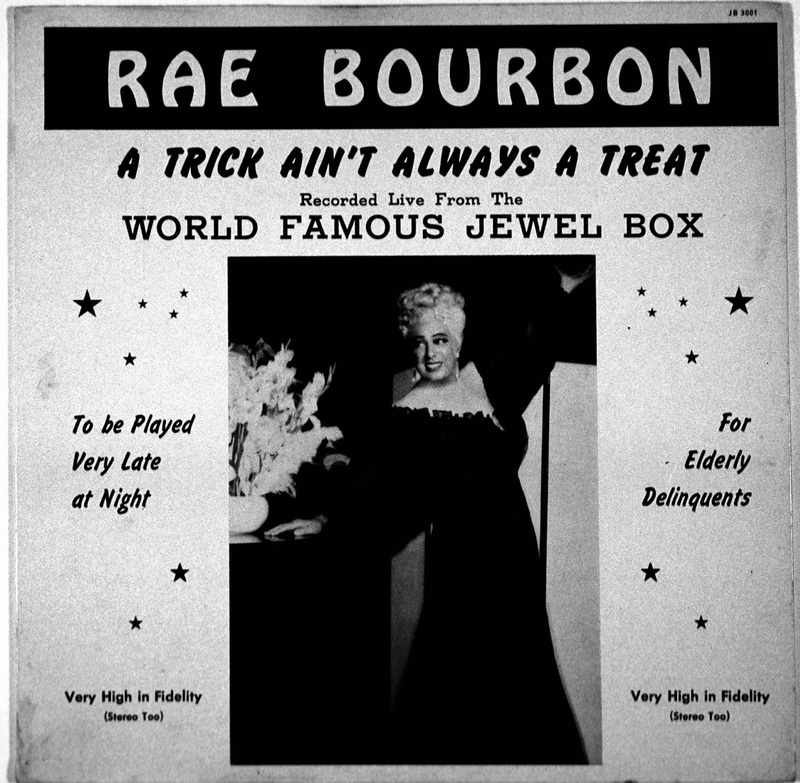 "A Trick Ain't Always a Treat" was the last of eleven albums Bourbon self-produced in the 1950s and 60s. "A Trick Ain't Always a Treat," Rae Bourbon’s (1964) album mentions four locations in two Arizona cities, Phoenix and Tucson. The one I’ll focus on here is Phoenix's listing for Roy’s. Which is a reference to Roy’s Buffet that was opened at 307 E. Roosevelt in the early 40’s. Though mentioned on this 60’s era album, using the name Roy's indicates that Rae was aware and likely performed at Roy’s Buffet, during the early 40s to early 50s. The early 50’s Roy’s relocated to 222 E. Roosevelt and became known as the 307 Cocktail Lounge, the 307 endured as part of the drag venue’s name until it’s door shut in 2000. Which is currently right in the heart of the Arts District/ Roosevelt. 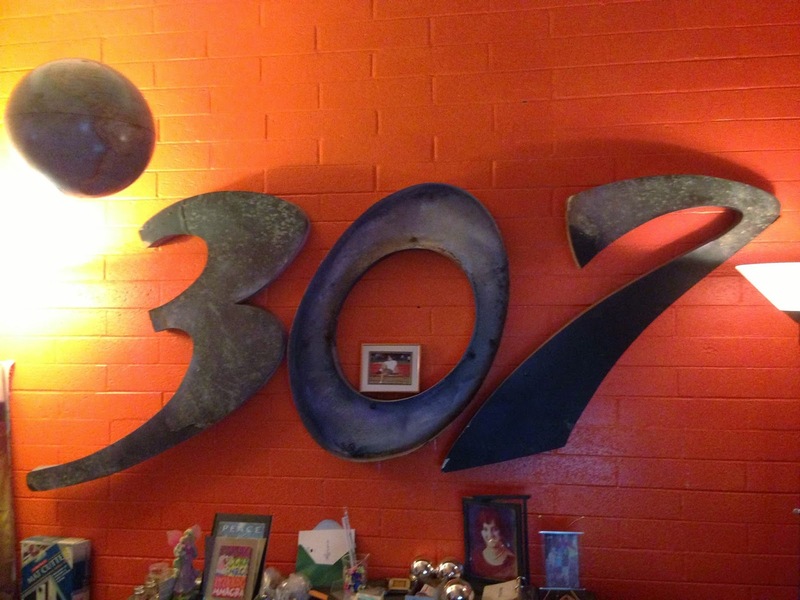 I have heard that the 307 became a gay bar/ drag venue in the 70’s when it was purchased by a Mormon, but it is possible that the bar served a clientele who where homosexuals, much earlier than thought. Especially since there are stories about a circuit later deemed the Fruit Loop, that dates back to the 40s and continued until the 90s. It was a place where men could find the company of other men. There is very little written documention about these early days of the Gay and Lesbian community here in Arizona, but these stories are worth saving especially in time of such cultural change. While writing this I am listening to this classic camp album from another era via archive.org, and just heard a Goldwater Presidential joke. Murals are also at the heart of the Roosevelt's art scene and 222 E Roosevelt offers up even more history. Hidden from view are murals by De Grazia painted in the 50’s before De Grazia became a well known Arizona artist and were painted to cover his tab at this neighborhood bar. Currently 222 E Roosevelt building is slated for demolition in 2015 and taking with huge piece of early history Roosevelt’s Art District and it’s queer past. There are conversations about efforts to save this building and it's stories. Our history is worth preserving!